Freya wanted to be able to transfer from her wheelchair to bed safely, independently and without a hoist. 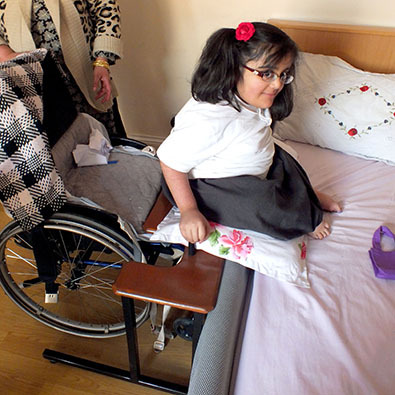 We built a custom platform that allows her to manoeuvre close to her bed, to park her wheelchair securely, and to transfer from her chair to her bed without extra assistance. This seemingly simple task is hugely frustrating for many wheelchair users. Freya’s transfer platform has been truly liberating.